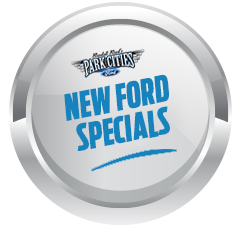 Welcome to Park Cities Ford of Dallas. As the recipient of the Ford Motor Company President Award on multiple occasions (an accolade bestowed upon only the top 10 percent of all Ford dealerships), Park Cities Ford of Dallas – and the men and women who make up our team of automotive experts – understands wholeheartedly exactly what it takes to not only meet your car buying needs, but also to blow right past your customer expectations. From cutting the stress out of your shopping experience and letting you consider your options without a salesperson breathing down your neck to offering up the best selection of outstanding new Ford cars, trucks, and sport utility vehicles (SUVs) in Dallas, as well as an impressive assortment of high-quality used vehicles, the fact remains the same: Getting a great deal on the Ford of your dreams, and enjoying the car buying experience to its fullest, starts and ends with a trip to Park Cities Ford of Dallas. If you would like to see for yourself why so many members of the Dallas TX community turn to Park Cities Ford of Dallas for their automotive needs, then go ahead and give us a call at (972) 546-2641 today. By doing this, or stopping by the next time you are nearby, we have no doubts that you will come to understand exactly why Park Cities Ford of Dallas proudly serves as the preeminent Ford dealer here in Dallas. Not quite sure which award-winning Ford car, truck, or SUV is right for you? 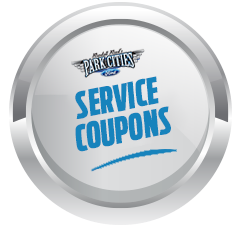 Then that is perfectly fine; Park Cities Ford of Dallas's vaunted team of Ford specialists would be more than happy to help bring you up to speed on what each of these outstanding offerings have in store for you. To give you just a taste of what to expect, go ahead and join us as we shine a spotlight on some of the most exciting Fords to earn a spot on our showroom floor. Looking for an SUV with all of the accommodations of its full-size brethren, but still capable of darting around the busy streets of Dallas? Then it is time to get to know the Ford Escape. With access to ample cargo capacity, Ford's Intelligent 4WD System, a roomy interior, and all of the premium tech and luxury inclusions you crave, it becomes clear in a hurry that this SUV truly does stand apart from the competition. Serving as America's favorite pickup for the last four decades is not a feat that comes easily. In fact, it takes a dedicated commitment to creating the best truck possible. Thanks to the ability to offer up best-in-class towing, a powerful aluminum alloy body, and countless other class-leading features, though, it is safe to say that the latest Ford F-150s to hit the streets of Dallas are clearly ready to live up to this truck's storied lineage. Available in both standard and hybrid models, the Ford Fusion stands as the epitome of sedan style, value, and luxury. From voice-controlled climate settings and the ability to interface with your favorite mobile devices to an alluring exterior appearance and budget-friendly pricing options, odds are that one of the many Ford Fusions waiting here at Park Cities Ford of Dallas is just right for you. Ready to tackle your favorite weekend trail, or five o'clock traffic here in Dallas, the Ford Explorer is the SUV that has it all. Of course, when you have the opportunity to enjoy a front-facing 180-degree camera, the Explorer's Terrain Management System, spacious seating for you and your family, and a wealth of other premium inclusions, making this big claim – and backing it up – really does just become standard operating procedure. By now, it should be no surprise that making the most of your time spent on the roads of Dallas starts and ends with a Ford vehicle. For even more info on these outstanding models, as well as the entire vehicle lineup from Ford, feel free to connect with the Park Cities Ford of Dallas team and we will be more than happy to help you find the right match for your specific automotive needs. For most automakers, simply earning the respect of these vaunted thought leaders would already be accomplishment enough for them to call it a day. However, Ford is far from satisfied with merely resting on past laurels and the brand's sterling reputation. With all of this information now sitting firmly in your corner, there is really only one question left to ask: Are you ready to immediately upgrade your daily drive with a stunning new Ford from Park Cities Ford of Dallas? If so, give us a call today at (972) 546-2641 and we will be more than happy to help you get started on the path that leads toward owning one of the finest – and most affordable – vehicles in the Dallas TX area.